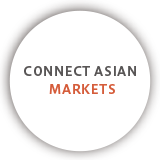 We support your manufacturing from each of our Asian offices. 攝陽企業股份有限公司　SETSUYO ENTERPRISE CO., LTD.
盛進貿易股份有限公司　SHENG CHIN TRADING CO., LTD.
開南貿易股份有限公司　KAINAN TRADING CO., LTD.
堡順實業股份有限公司　ELECTRICAL PIONEER ENTERPRISE CO.,LTD. 韓国三菱電機AUTOMATION株式会社 MITSUBISHI ELECTRIC AUTMATION KOREA CO., LTD.
上海摄阳国际贸易有限公司　SHANGHAI SETSUYO TRADING CO., LTD.
摄阳自动化贸易（上海）有限公司　SETSUYO AUTOMATION TRADING (SHANGHAI) CO., LTD.
STC ENTERPRISE H. K. LTD.
UNIT1611, 16/F, PROSPERITY MILLENNIA PLAZA, NO. 663 KING'S ROAD, NORTH POINT, HONG KONG. SETSUYO ASTEC (THAILAND) CO., LTD.
SETSUYO ASTEC SINGAPORE PTE. LTD.